Do you send out an annual Christmas letter? If so, now is the perfect time to start thinking about what you’ll put in this year’s edition. Planning ahead can help you save time and headache at the end of the year. If you have a plan in place, you’ll be able to gather images and stories as the year goes along so you don’t have to scramble during one of the busiest times of year. Here are a few tips to help you plan. With 365 days in a year, you’re surely not going to remember everything you did throughout the year by the time Christmas rolls around. So keep notes of important events, funny moments, or anything else that might be interesting to your readers at the end of the year. Did your kids say something funny today? Or did you nearly have a heart attack last week when your husband locked himself out and you heard someone trying to get in the house late at night? Did your coworkers surprise you without warning? Big events like birthdays and vacations are easy to remember, but every day events can sometimes be quite entertaining to include in a Christmas newsletter, too. Create a file in your computer or get a notebook to keep track of these types of events. At the end of the year, you won’t be wracking your brains to find something to write about. Back in the days when you had to buy a new roll of film and pay for processing each time you wanted to capture a memory on film, people took fewer pictures. Today, memory cards make it easy to take dozens or hundreds of pictures a day. And many people do! Sorting through all these images can be fun but time consuming at the end of the year. So plan ahead! When you take a photo you think you might want to include in your annual holiday letter, tag it with a keyword such as “newsletter” or mark it as a favorite. If you don’t have these options with your photo editing software, try uploading your favorites into a special folder on Flickr, Facebook or any other program you use. This will save you a lot of time when Christmas approaches! If you struggle every year to find stationery, holiday clipart or a newsletter template you like, look for examples throughout the year. As with the other suggestions, it’s helpful to have an online or offline file with all the ideas you saw and enjoyed. You might also want to get a book such as Ideas for Writing Creative Christmas Letters That People Are Actually Eager to Read by Janet Colbrunn. It’s packed full of ideas for creative letters that you’ll have as much fun creating as others will have reading. 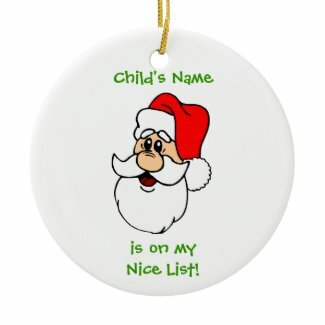 You can also fine more Christmas letter ideas and templates at Christmas Letter Tips.com.